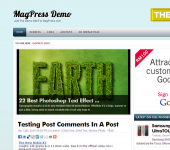 Stream is a 2 columns fixed width WordPress template by MagPress.com. 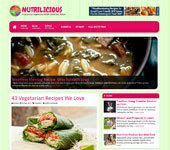 This WordPress theme has theme options, featured content and categories, Adsense ready, etc. yeahhhhh ..very..veryyy nice theme…so..i use to http://ironie-a.biz. This looks like a great Theme. I’m looking for a nice looking Theme that is also SEO optimized and supporting AdSence. The moment I saw it, I knew I should use it.